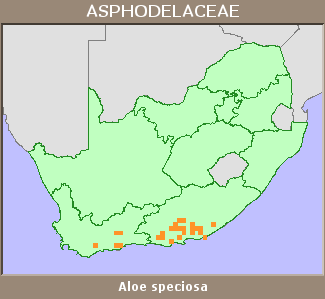 A. speciosa is widespread (EOO ± 87 000 km²) and exceptionally common. There are no threats to this species. Widespread in Eastern and Western Cape from Swellendam to the Kei River and inland to Somerset East. 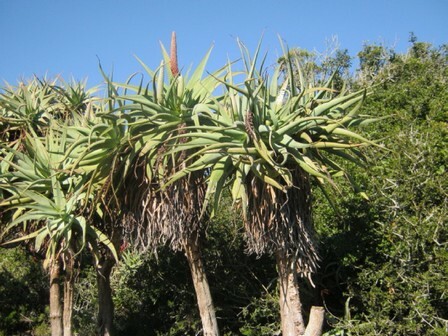 Rocky sites in drier areas in thicket, fynbos and noorsveld. 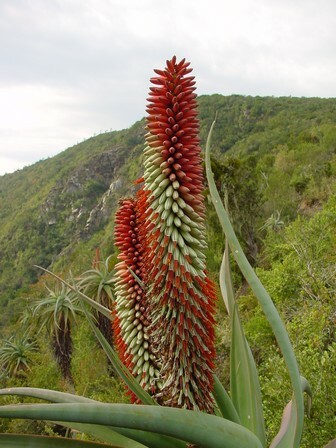 A. speciosa is widespread, exceptionally common and not threatened or declining (Van Wyk and Smith 1996). A. speciosa is extremely common. Subpopulations can consist of thousands of individuals that often dominates a landscape (Van Wyk and Smith 1996).